Glevum Games was the principal trade name used by a firm established in Gloucester in 1894 by Harry Owen Roberts and his younger brother John Owen Roberts. 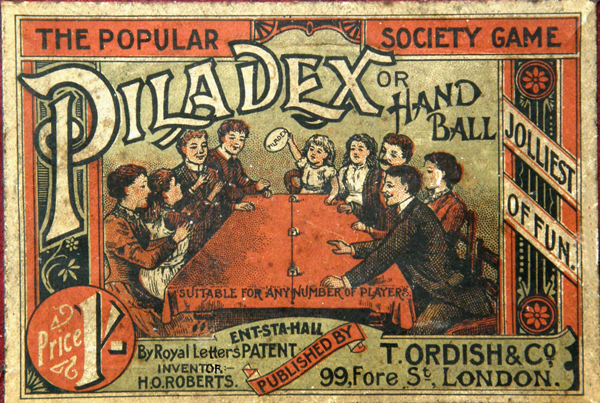 Harold Owen Roberts patented the game of Piladex in 1890, and this led to him developing a range of games which were published through such firms as Thomas Ordish, Woolley and Co and Faulkner’s. Piladex was originally created to amuse youngsters at a church youth club. It was simple, silly and energetic, but it appealed to Victorian families. Piladex became a household name, was endorsed by the royal family, and crossed the Atlantic to be franchised as Pillow Dex, one of Parkers’ earliest products.